“Mark my words, you’ll regret this,” admonished their late father every time Diamantis and Dino Pierrakos schemed another radical change. Good thing the ambitious sons didn’t listen. 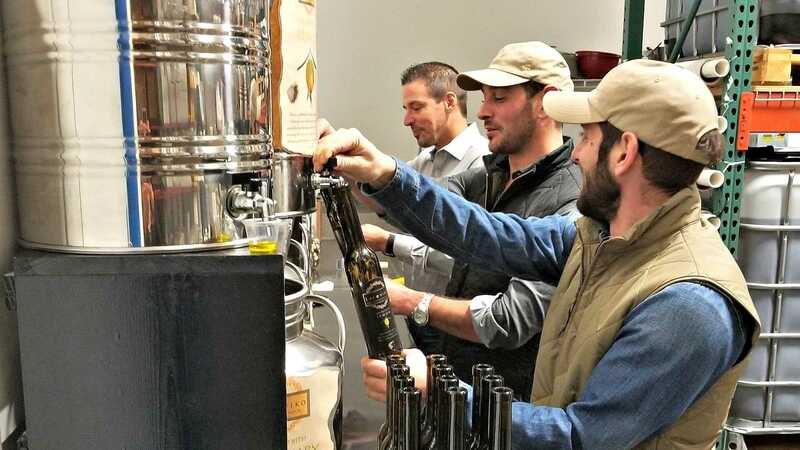 The Pierrakos brothers co-own the Laconiko olive oil company together with their two sisters and mother. 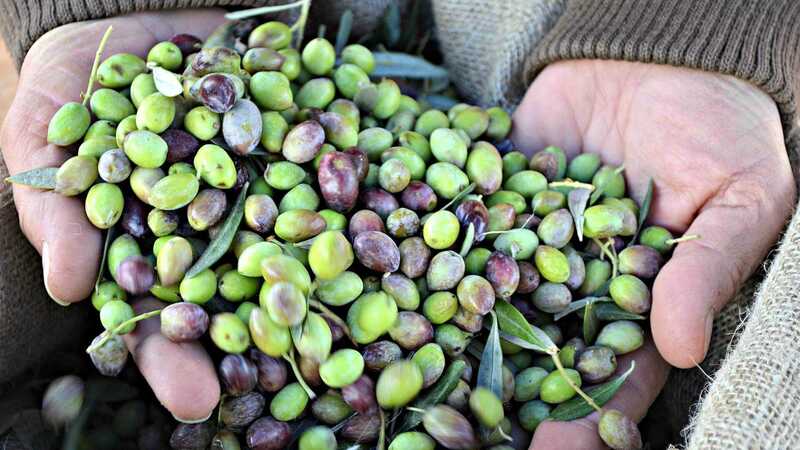 They grow Koroneiki olives on a coastal estate in southern Greece that their family has owned for four generations. They bottle and retail their oil exclusively in the U.S. While their mother and sisters work mostly behind the scenes, Diamantis and Dino are the public faces of the operation, which has transformed from a source of workaday livelihood into an inspired enterprise that produces award-winning oils infused with the family’s vision, mission, passion and purpose. The brothers shared their vision at a Smithsonian Institution seminar in Washington, D.C., in February. Curtis Cord, the publisher of Olive Oil Times, led the seminar and guided tasting to teach participants how to recognize and evaluate high-quality olive oil. Together with their business partner and brother-in-law, Elias Zarkadoulas, the Pierrakos brothers were guest speakers at the seminar. To contextualize the prized oil guests tasted earlier in the afternoon, the brothers told the story of their whirlwind journey that began during the 2008 harvest. Mrs. Pierrakos and her four children immigrated to the U.S. in 1989, while the family patriarch, Vasilios, remained in Greece. At least one brother would return to help their father with the annual harvest. As was customary in their village, they sold their fruit to mills that exported to Italy. That pivotal year, Diamantis sensed that something was troubling his father. 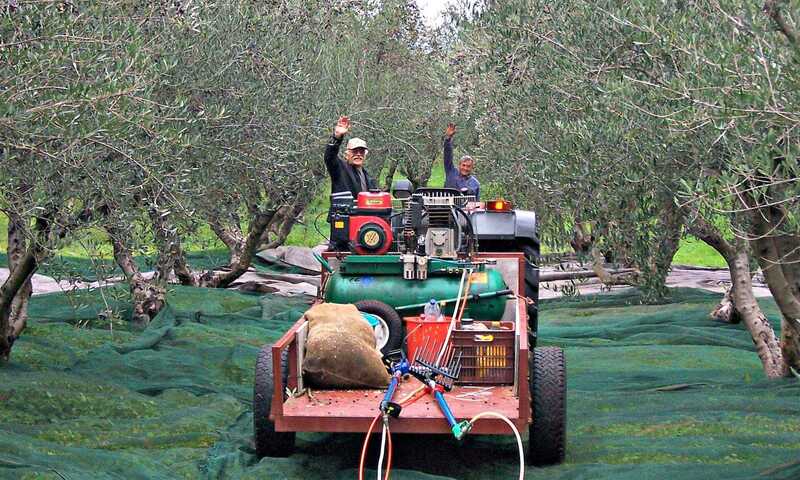 With Vasilios nearing retirement, the Pierrakos’ had to make a life-altering decision about the land and the 5,000 olive trees that were considered part of the family. One option was to sell the estate and reunite Vasilios with the family in the U.S. That would mean letting go of fertile land their ancestors had cultivated since the late 1800s. Unwilling to relinquish the roots of the family legacy, Diamantis floated the idea that had recurred through the years: to produce their own, single-estate oil under the family name. The brothers convinced their father to allow them to harvest a small quantity of olives early. They asked family and friends to taste their experimental oil and the feedback was positive. In 2009, they began small-scale sales of their own branded oil in the U.S. They continued to make fundamental changes to their production process, overcoming opposition within their family and community. Ever the traditionalist, Vasilios was skeptical of his sons’ ambition, repeating his warning that their plan was misguided. Working from their Virginia home, they continued to grow the business in the U.S. and improve the production process in Greece. If a retailer agreed to a demonstration, the brothers would drive to the store, no matter the distance. They’d meet briefly with the retailer, only to turn around and drive back home, sometimes logging hundreds of miles in a day. When they entered competitions, they asked to see the judges’ notes to learn how their oil was evaluated. They scrutinized their production process to identify where the deficiencies were occurring and they made more changes. In 2014, they won a silver medal at the Los Angeles International Extra Virgin Olive Oil Competition. As they continued to win major awards annually, their father’s resistance quieted. The brothers felt vindicated and confident that their risk was paying off. They went on to win awards in New York. Tragedy struck in December 2016, when their father died during the harvest. Laconiko operates a tasting room in Manassas, Va., open to the trade by appointment only.